Hi! Today I am back with 3 cards with a twist. I love to create cards that are either interactive or they have something unique on them. 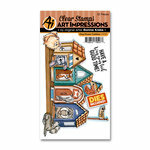 This time I used stamps and dies from Art impressions. 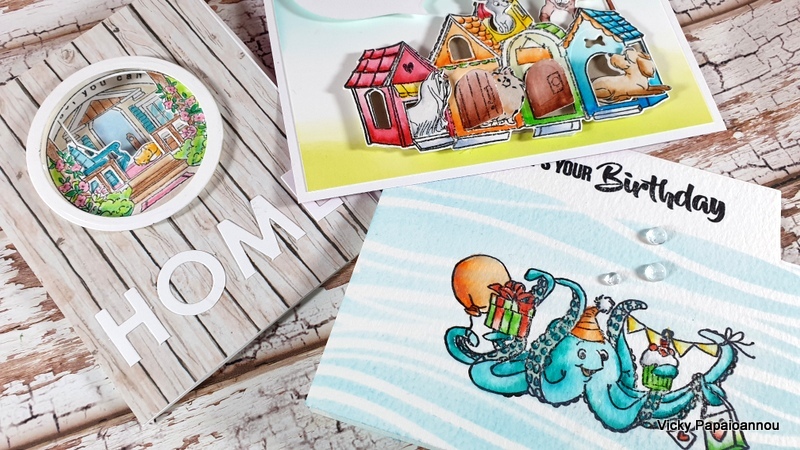 For the first card I used the Art Impressions – Octopus Flip card ( SBC | SSS ) stamp set and the Flip Card dies ( SBC | SSS ) to design my card. 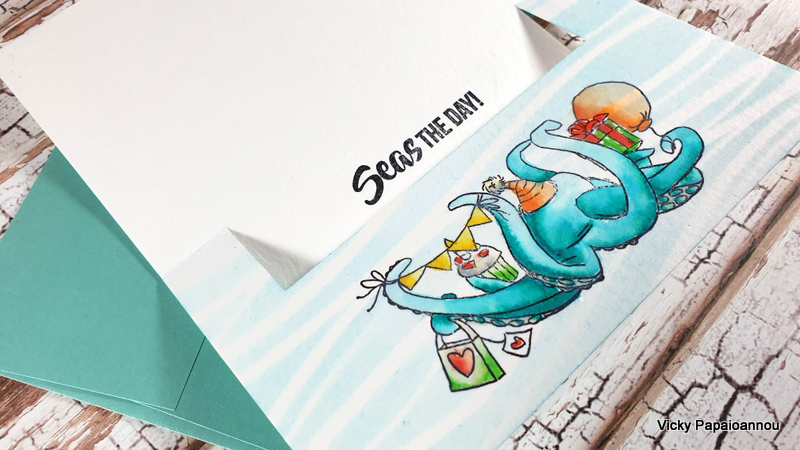 I created the card out of watercolor heavy paper that gives it some texture and I used my Arteza Real Brush Pens ( ARTZ | SSS ) to color everything. 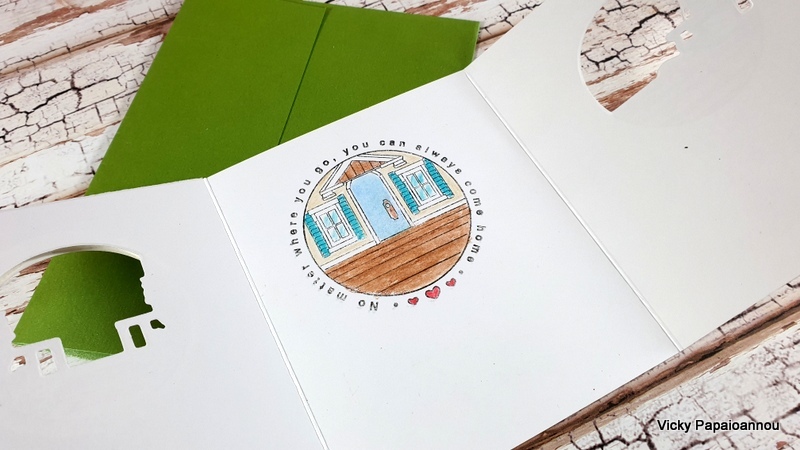 I love this gate fold card with the porch! 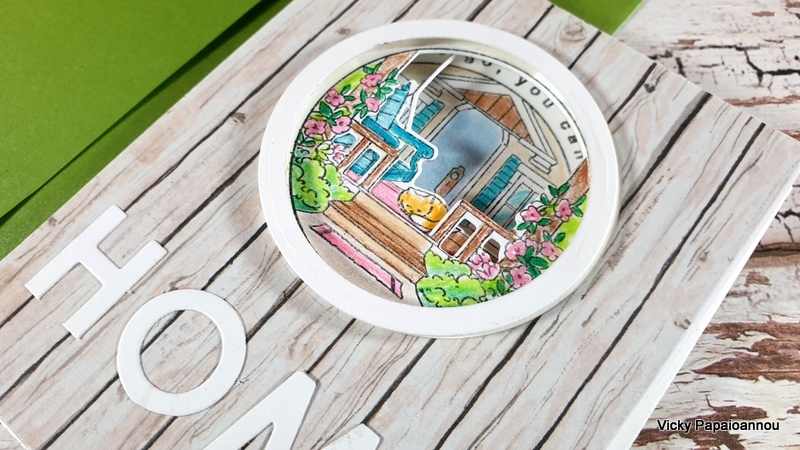 For this one I used the Art Impressions – Front Porch( SBC | SSS ) that includes botht he stamps and the dies in the set. 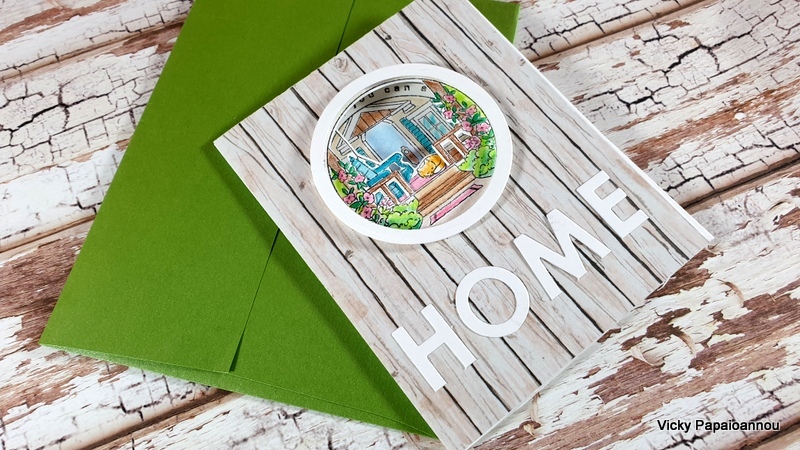 I used my Prismacolor pencils to add color and I completed my card by spelling the word HOME at the front. You can see a close up of all the layers below. When you close the card it looks like a diorama ! 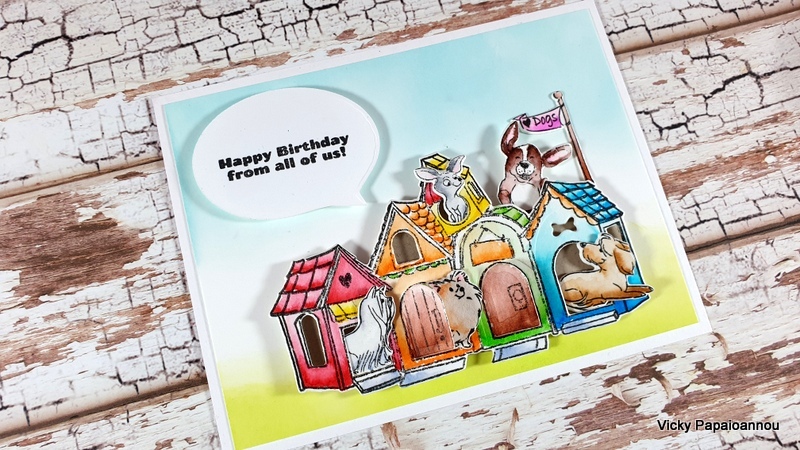 For this card I used the Art Impressions – Cubbies Collection – Dog House( SBC | SSS ). This one includes again both the stamps and the dies. 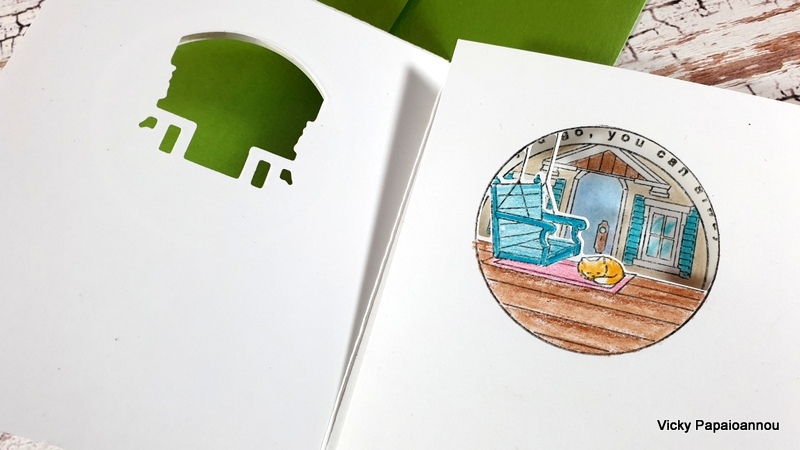 The fun part about this card is that it cuts out windows and doors where you can tack inside your dogs! How cute is this?! 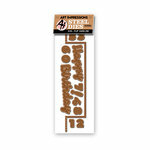 I have an exclusive 10 % OFF coupon code for shopping at Arteza.com. Use the code VickyPapaioannou1 at checkout. The code is valid until 10th of April and works on both USA and European website! Next Post Awesome sales and new products! I love these cards! 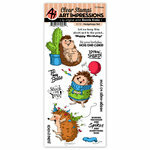 I have a few AI stamps sets but these three are now on my wish list. Thanks for the video Vicky!! Always my favorites. 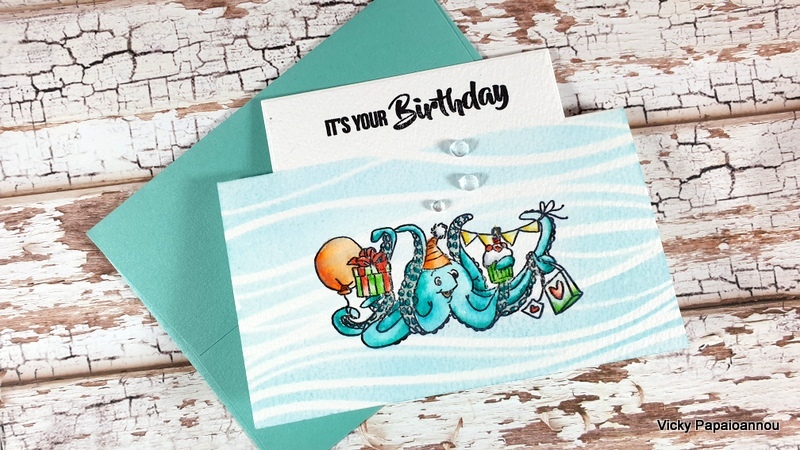 You really inspired me to make these cards with a twist! 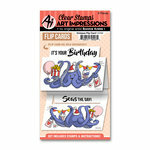 Fun cards. Great cards. Thank you for the great tips on making these cards. I really like AI stamps. 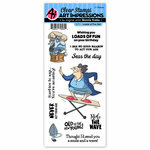 They have a lot of fun images. Thanks for showing some of their new release. Such cute cards! Thanks, Vicky. Love the cards you’ve made. 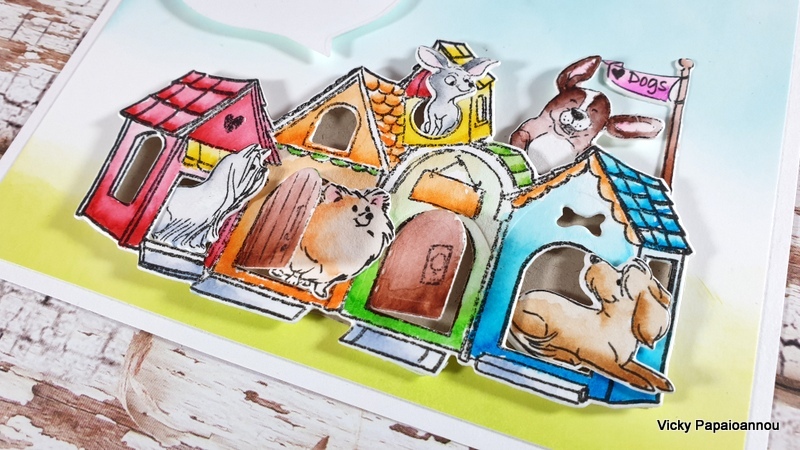 Those dog kennels are so cute but my favourite is the gate fold card, it’s just lovely. Seems Arteza are exclusive to Europe and America, which leave the rest of the world out, pity. Thanks for the great inspiration! The dogs are my favorite! Thanks Vicky. 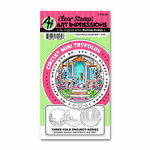 Awesome cards Vicky, I always love Art Impressions stamp sets because of their versatility.